It's seems odd to me that some people blame natural disasters on other people's lifestyle - or even their dress - and point to this as God showing his displeasure (anger of the gods always struck me as an pagan concept, ironic that it's much touted by "people of faith") while man-made disasters don't seem to incite the same rhetoric from the fundamentalists. 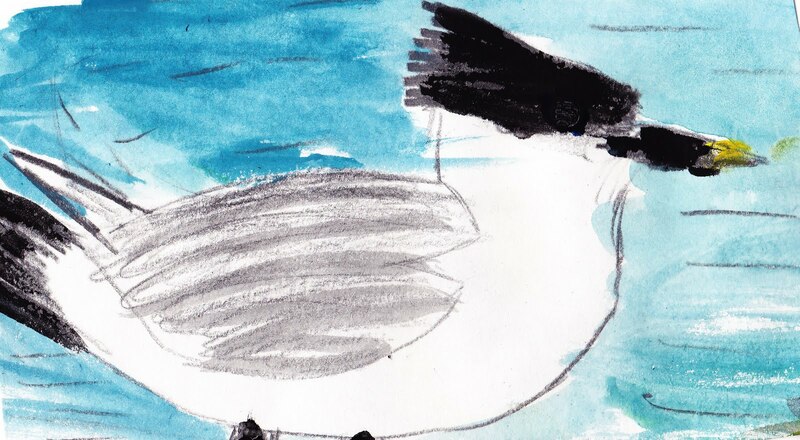 But enough with the negativity, there's a crisis going on in the Gulf of Mexico and other people are doing what they can to mitigate the environmental impact of the oil spill including one 11 year-old Long Island schoolgirl, who with the support of her family, is raising money to save wildlife by drawing birds for donors to various environmental charities. That's my Greater Crested Tern up top. Thanks Olivia! Support Olivia's project to make a difference here. Thanks for posting and for your support of Olivia's project.